Dental bridges are structures between two dental crowns that fill the gap resulting from missing teeth. They're a form of restorative dentistry designed to maintain your face shape, allow you to smile, eat, and speak normally, and prevent your natural teeth from shifting. 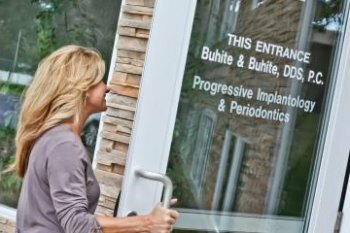 Dental bridges are one of the many outstanding services available through Buhite & Buhite, DDS, a Rochester, NY, dentistry practice that specializes in restorative and cosmetic dentistry. Brush & Floss: Brush your teeth twice daily and floss once a day as you normally would, to keep your remaining natural teeth free from decay. 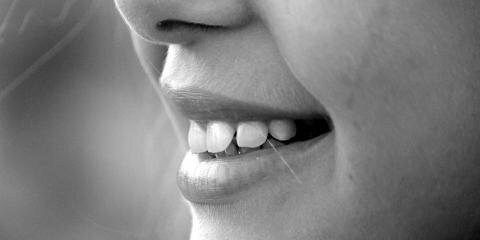 Healthy natural teeth provide the strong foundation dental bridges and crowns need to remain intact. The dentists at Buhite & Buhite, DDS, also recommend using an electric as opposed to a traditional toothbrush. Use Mouthwash: Rinse daily with an antibacterial mouthwash to prevent plaque from building up around your restorative dentistry work. Ask your dentist at Buhite & Buhite, DDS, for mouthwash recommendations to make sure you're using the right one. Enjoy A Balanced Diet: A proper diet is essential to your oral health. Starchy and sugary foods lead to plaque formation and problems such as tooth decay and gum disease. Drink lots of water to flush food particles from your dental bridge and natural teeth. Avoid Hard Foods: Refrain from consuming hard foods such as nuts and certain candies to avoid damaging your dental bridge. If you must eat hard foods, try not to chew directly on the dental work. Refrain from biting hard objects like pens and pencils as well. Use a WaterPik: Though we recommend traditional flossing, we understand it might be awkward, difficult or messy. By using a Waterpik, you are able to remove plaque and debris below the gumline where it's hard to reach with traditional brushing and flossing. The dentists at Buhite & Buhite, DDS, also recommend wearing a mouthguard when you're playing contact sports and scheduling dental visits every six months to keep your dental bridge in good condition. 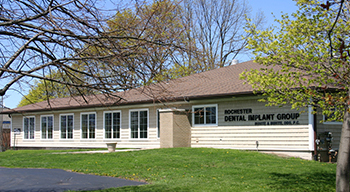 For over 40 years, the team at Buhite & Buhite, DDS, has been committed to helping Rochester residents maintain their oral health. The staff strives to make all their patients feel as comfortable as possible so every experience in the dentist's chair is a positive one. For more information on dental bridges, crowns, and the other restorative dentistry services available through Buhite & Buhite, DDS, call (585) 342-1323 or visit their website today.